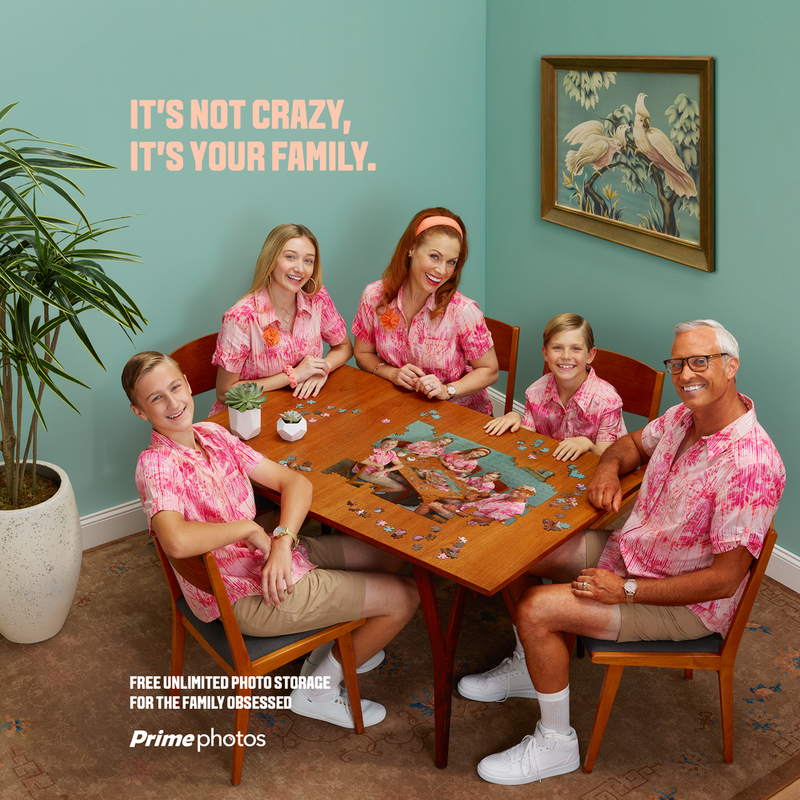 Amazon Prime Photos wanted to communicate the emotional ties to taking and storing all of your family photos in one place in a new advertising campaign. We solved this by coming up with a whimsical campaign celebrating the family over-documentarian. Once a concept was selected we got to work coming up with the style of the photos and sketching out the scenerios. 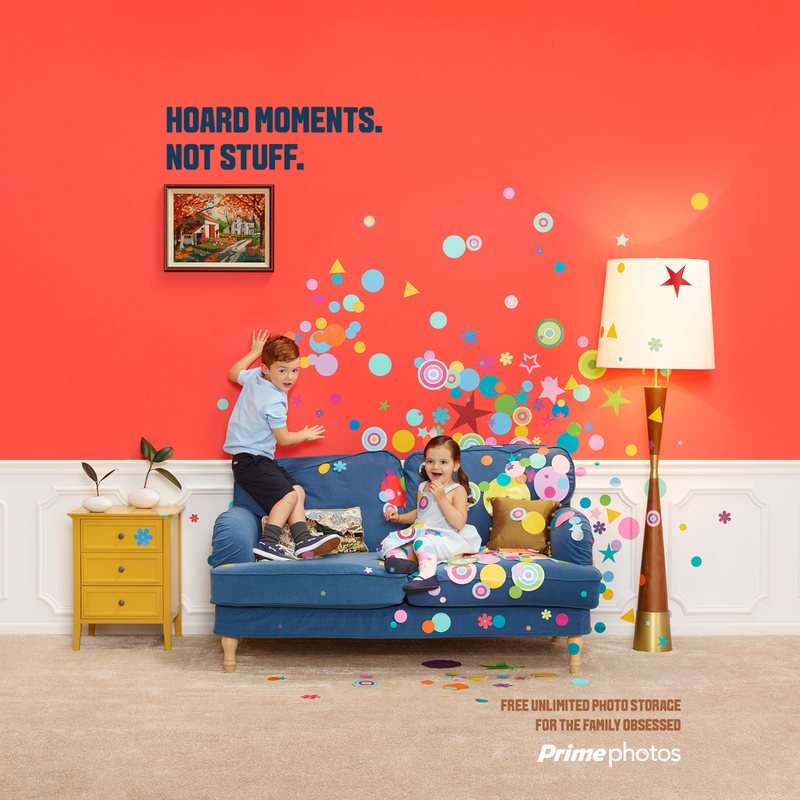 Partnering with a photographer known for bright and quirky scenes, we cast and directed the styling for the shoot on-set. Then we got to work designing the headlines and type for different ad placements. Amazon Prime Photos was thrilled with the work.